12th April 2013 was a red letter day in the history of the Ekal Vidyalaya UAE Support Group. The silver jubilee celebration of ‘Ekal’ was in a festival atmosphere. It was a family day of fun, enjoyment and cricket for one and all. Dubai Sports City International Stadium was the venue of action for the whole day – cricket both for juniors and adults, plenty of snacks and food, soft drinks, ice cream etc. The cricket coaching camp was inaugurated by cricket celebrity Mr. Chamada Vas in the presence of Sri Harshad R Mehta, Chairman of EVUAE Support Group, Mr. Gopal Jasapara of GForce Academy, many guests and parents of children. Around 100 children participated in the camp which was followed by a cricket match for juniors. The other cricket celebrities were Mr. Chandu Borde and Mr. Lalchand Rajput, former Indian cricketers. Children were excited with the presence of the cricket celebrities and requested them for ‘autograph’. The audience consisted of around 1000 – including children, parents, friends, volunteer and supporters. Cricket Tournament consisted of 12 teams. The matches were exciting with 132 players and a lot of cheering. The atmosphere looked great, teams in different colors and it also had an international flavor. The Ekal Cup was given to ABN Amro team, captained by Mr. Krishna Kumar Nair. Cricket coordination was ably done by Sri Gopalji, Sri Ashit Gandhiji, Sri Sameer bhai and Kalpeshji. The guests of honor for the event were: - the cricket celebrities, Mrs. Sangita Gupta, representing Ekal India, Mr. Sandeep Jobanputra who flew in all the way from London for the event, Mr. Paresh Shah, the main sponsors, co-sponsors – Mr. Smit Kothari of Shrenuj, Mr. SB Jain, President of JITO and Mr. Abdul Salam, Group Executive Director of Malabar Gold and Diamonds group. Chief Guest was Mr. Hussein Adam Ali, Chairman of Swiss Arabian Perfumes Group, but as he was unwell, he could not make it for the event. His message was conveyed to the audience by Mrs. Geeta Chhabra, president of EV UAE Support Group "Giving to the underprivileged is a must not a favor, it does not decrease your wealth, in fact it pays you back many fold, that's been my experience and I am sure yours that's why you are at the head of such a worthy cause. And it can eradicate many ills in society only if people have the heart to give. No matter how much or how little". Ekal Souvenir entitled ‘Glory to Education’ was inaugurated by the celebrity cricketers and guests of honor. A copy each was distributed by the volunteers to each family. The souvenir front cover had a lovely cricket ground /stadium background with the following quote “It’s not how much we give but how much love we put into giving. During the program, Rudraji, Arpanaji, Arvindji, Mehulji, Shankarji who had gone for the ‘Van Yatras’ explained briefly to individual groups, their rich experiences in the ‘Ekal villages’ and how the children were provided education and the villages getting empowered and transformed. Master Yash Bhatia, III standard, is the youngest Ekal participant, gave a brief presentation on ‘The importance of school education’ to the teenage volunteers, which was appreciated. On 11th April 2013, Chairman Shri Harshad R Mehta, hosted a dinner party to thank all the celebrity cricketers, guests of honor, sponsors and managing committee members. The celebrities, guests of honor and sponsors were given a beautiful ‘Ekal Memento’ made of crystal glass. The full day event ended around 9 pm with the prize distribution ceremony, speeches and vote of thanks by Sri Ashit Gandhiji. The program was a memorable one - enjoyable and fruitful one for all. Thanks indeed to all the sponsors, managing committee members, volunteers, supporters, players, children, parents and members of audience. Of course to ‘Ekal’ and ‘Cricket’. The event was a success as the objective was achieved. 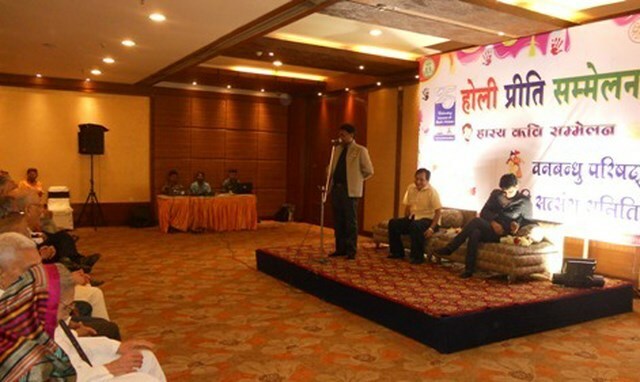 We have been able to get a commitment of 700 plus schools which was appreciated by Sri Harshad R Mehta and many guests. 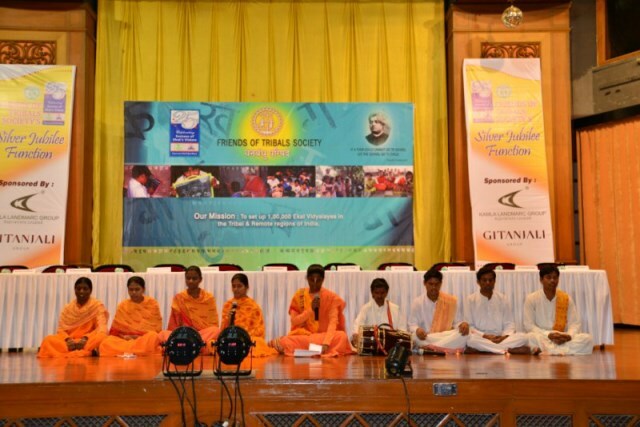 Celebrity actor Sri Anupam Kher performed for Friends of Tribals Society in Delhi on March 17, 2013. In the programme he enacted his famous autobiographical play ‘Kuchh Bhi Ho Sakta Hai’ for the Silver Jubilee Function, organized by Friends of Tribals Society, Delhi. at the Siri Fort Auditorium, New Delhi. The play essentially tells the story of a small town man making it big in the Hindi film industry, and then faltering and failing...yet never giving up hope. The audience identifies with him and snatches of their life being played on stage. 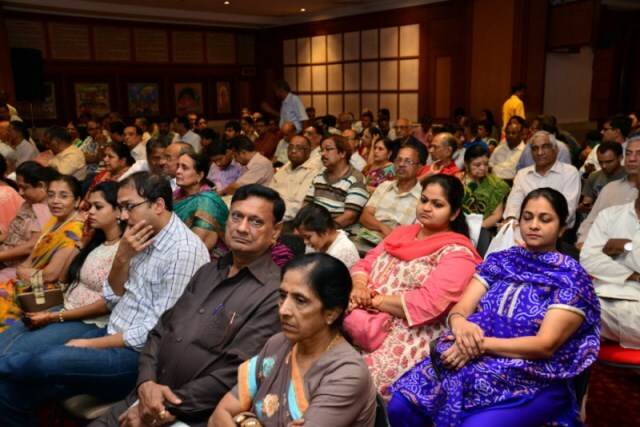 It was a full house, which also witnessed presentation made on the Ekal Movement. Audience were deeply impressed with his performance and were in high praise for the Ekal’s initiative to reach out the urban segment. Mumbai chapter of Friends of Tribals Society celebrated its Silver Jubilee with a grand programme at Yogi Sabhagrih, Dadar, Mumbai on April 13, 2013. Its aim was to commemorate the pioneering work done by the Ekal in tribal areas across the nation for upliftment of tribals through unique one teacher school concept. The dignitaries gracing the occasion included eminent nuclear scientist, Padma Vibhushan, Dr. Sri Anil Kakodkar, Sri M.N. Singh, Former, IGP, Mumbai, Patron Smt. Rajashree Birla, Smt. Jaywantiben Mehta, Former, Central Minister, Smt. Chandrakanta Goyal, Former, MLA, Sri Ramesh Shah, Former Chairman, EVF USA, Sponsors — Gitanjali, Kamlalandmarc, and host of industrialists, philanthropists, educationists and businessmen. The programme was started with kirtan and prayer by Kathakars. Sri Jitubhai Bhansali, President of the chapter welcomed the guests. Prof. Smt Manjushree, National Organising Secretary, Ekal Abhiyan, gave a moving account of the history of Ekal Vidyalayas and its socio-economic impact in rural India for awakening. Shri M N Singh applauded our work and gave many other facts about the situation in the tribal belt of our country, which was an eye opener for the audience. Dr. Kakodkar while paying tributes to the achievement of FTS assured his whole hearted support for its future endeavours particularly to achieve the target of one lakh Ekal Vidyalayas. On this occasion a Souvenir covering all activity of FTS for tribal and rural upliftment was released by their patron Smt. Rajashree Birla. Dr. Kakodkar released another book titled Ekal Vidyalaya - Special School for Non - Formal Education - a study written by Dr. Mrs. Sunanda Palkar, based on her research thesis submitted to Pune University. At the end, Ability Unlimited presented – Miracle on Wheel, a dance drama by disabled people covering Ramayana, Mahabharata, and Gita Updesh of Lord Krishna. The audience continuously applauded and appreciated the evening dedicated to the cause of Ekal. Anaemia control programme was organized by Arogya Foundation of India at Lusa Village, Mirzapur Anchal of Uttar Pradesh on April 21, 2013. Around 650 people were examined in the camp. The patients suffering from other diseases also got the treatment at free of cost. Dr. Sarita Mittal, Dr. Harish Anand, Dr. Manoj, Dr. Rajesh provided their services voluntarily. Holi Milan programme was organized by Friends of Tribals Society, Kolkata on March 27, 2013 at Haldiram Banquet Hall, Ballygunge, Kolkata. On this occasion, Hasya Kavi Sammelan was organized. 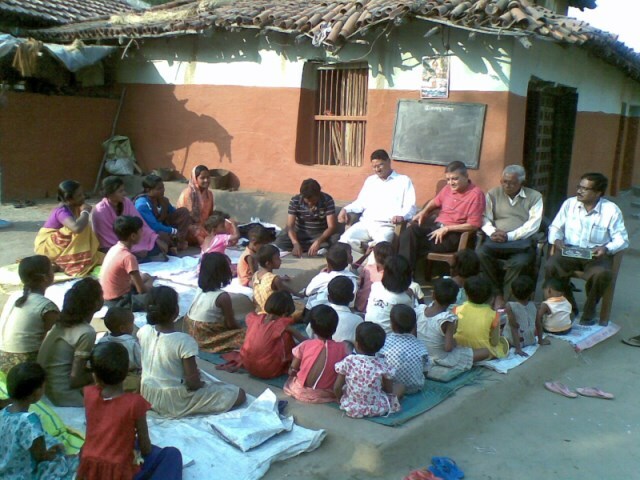 More than 400 members and donors participated in the programme. Ram Navami Utsav was held on April 11, 2013 at G.D. Birla Sabhagar, Ballygunge, Kolkata. It was organized by Friends of Tribals Society, Kolkata. On this occasion “SARZAMEEN” was staged by the troop of “SAMANVAY”. 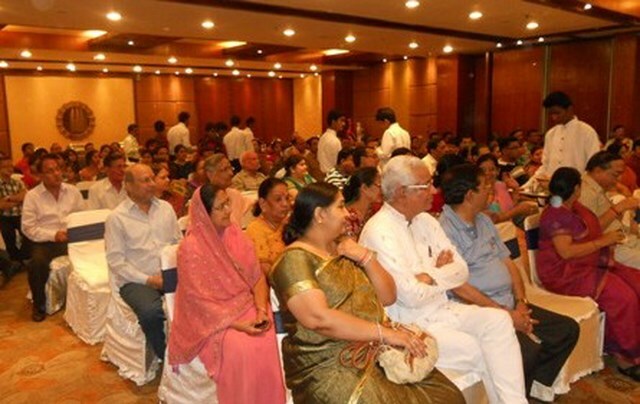 Around 600 members & donors were present in the Programme. I had the extreme pleasure of visiting two Ekal Vidyalayas in the state of Jharkhand, one each in Dhirul and Kutshi village of Jamshedpur. It was a wonderful and thrilling experience indeed. These villages are located at about 45 Kms. from Jamshedpur, close to UCIL - Uranium Corporation of India Ltd., Jadugoda. Sri K.E.N. Raghavan, Central Training Chief, EKAL Movement and Sri Vinod Kumar Tiwari, Area Incharge, Jamshedpur were very kind enough to accompany the undersigned to the above 2 EKAL Vidyalayas, despite their busy schedule and pre-occupations. I am very thankful for their kind gestures. The schools in both the villages function from 6 AM to 9 AM and again from 3 PM to 6 PM, held in the open, under trees. The Teachers and other village organizers go about their livelihood work in the fields during the intervening period. 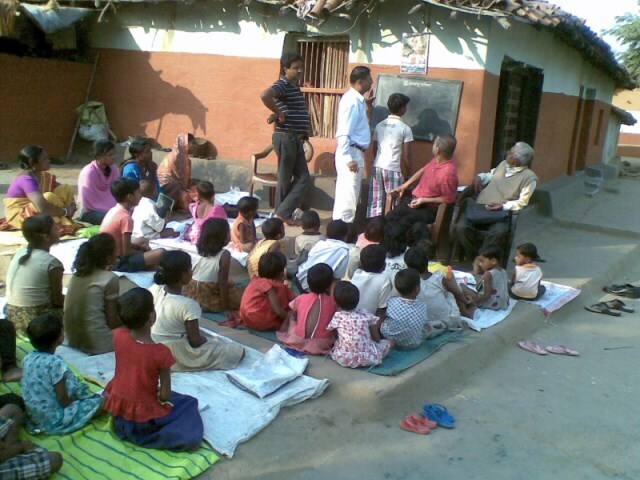 Dhirul Village School had 30 children and Kutshi village had 25 children, ranging from the age of 3 to 12. The children are graded as standard 1, 2 and 3 as per EKAL policies. The Teachers in both the schools were found extremely motivated, and doing an excellent work, despite meagre and scanty remuneration, resources and facilities. The villages are not far from the disturbed areas.